Classical villa in Quinta da Marinha with sea view and garden, inserted in a 1.578 sqm lot and with a 667 sqm construction gross floor area. 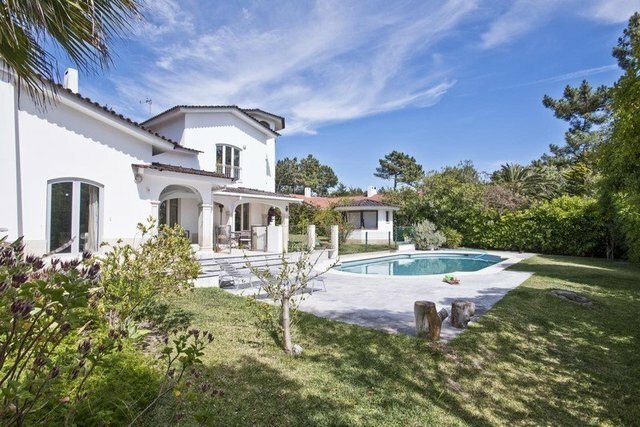 Located in the most noble area of the charming Cascais village. It is composed by three floors. With generous areas, plenty of natural light and premium materials and finishes. High ceiling in the living and dining room. First floor: Master suite and 4 bedrooms with 2 social bathrooms. With a pleasant surrounding garden, swimming pool and barbecue areas. Pleasant surrounding garden, swimming pool and barbecue areas. Famous by its exclusivity and closeness to the sea, in a bucolic atmosphere and close to the main accesses, it insures a comfortable lifestyle.